Call, text, email, send a carrier pigeon... whatever you gotta do to my attention. Just let me know that you're interested in my invitation services. 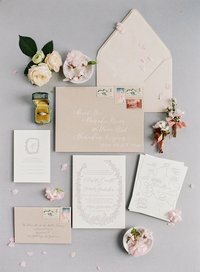 I will email you a questionnaire form which will help me determine a creative direction for your invitations based on your ideas, style and budget. Fabric swatches, pictures from magazines and Pinterest are great sources of inspiration. 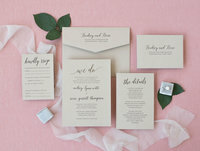 Be prepared to discuss the quantity of stationery pieces needed as well as the information you would like to convey to your guests. Meeting in person will allow you to see samples of my custom work and allow you to get to know me, however I work with couples from across the world. A price quote is prepared for you based on your specific project requirements. 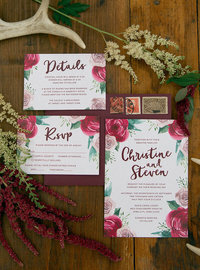 It is my goal to design the invitation and coordinating elements of your dreams while staying within your budget. If you are happy with the quote, I will then ask you to sign a contract and pay a 50% non-refundable deposit, which will place you on my design calendar. I will send you a timeline of the design process so we can stay on track with deadlines. You will then receive multiple electronic full color proofs. 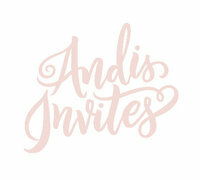 I will be able make any necessary changes to the wording, graphics or overall design of your invitation suite. Once your changes have been made, you will receive another round of electronic proofs via email. It will be your responsibility to review and confirm that every design detail is to your satisfaction, including the spelling, grammar and punctuation. Please carefully check your design files during every step of this process. When you have given final approval, the printing and production process begins. This step takes 2-3 weeks. All of the printing and finishing services are completed in-house. Assembly and stuffing services are also available for an additional fee. I oversee every detail of the production to ensure that your project will exceed your expectations. 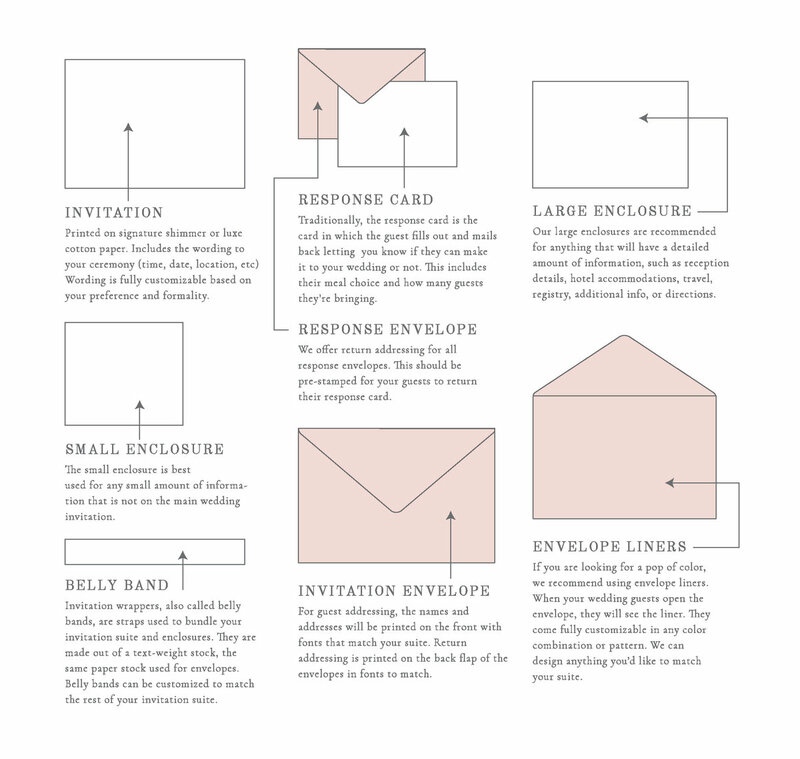 There are many parts to a wedding invitation suite. But lets be real here, you don't have to use all of these! Let me know what information you need to convey to your guests and I'll be honest with you about the parts you do and don't need. 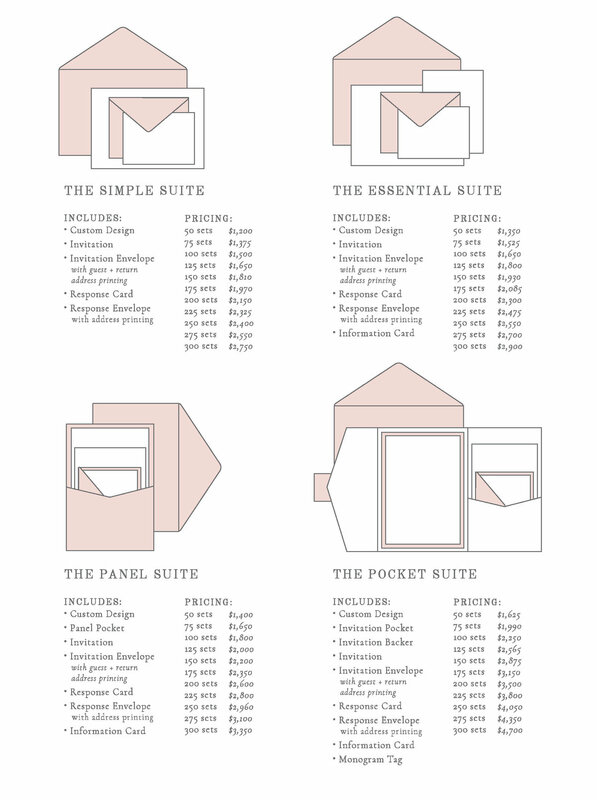 Below are a few invitation packages so you can get an idea for the cost of our services. 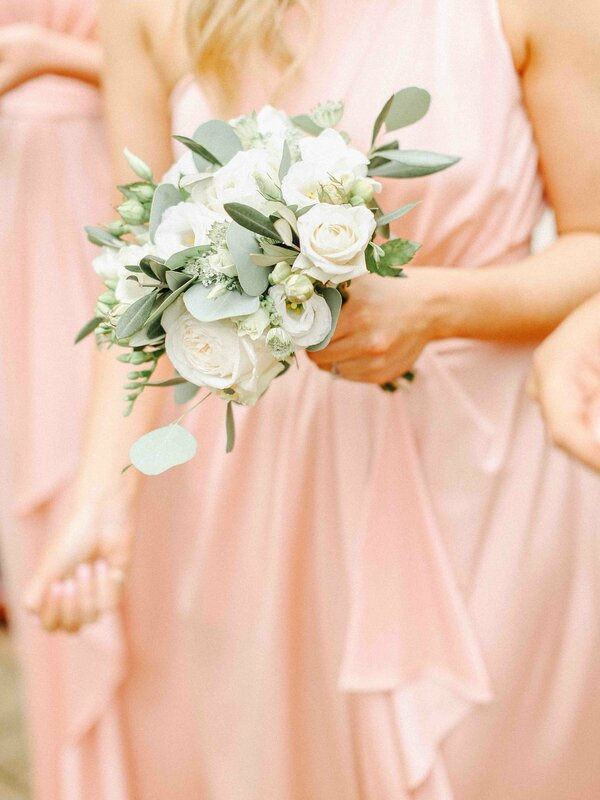 Our average client spends $1,500 - $2,500 on their wedding stationery. 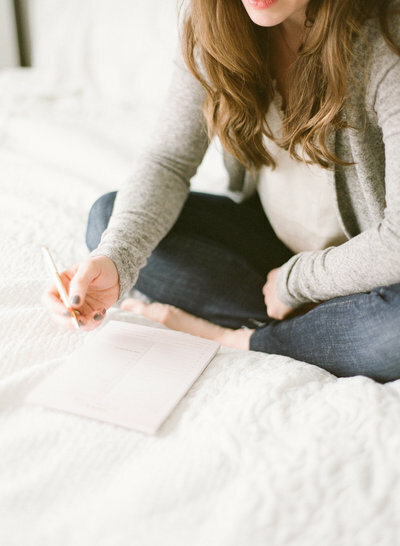 8-10% of your wedding budget is a good range for all your paper goods (including save the dates, invitations, and day of paper goods). There is no minimum quantity, but the smaller the quantity, the higher the cost per piece. Expect a minimum investment of $1,000. Please note that the pricing below is for digital printing only. Also keep in mind that sales tax will added to these totals. 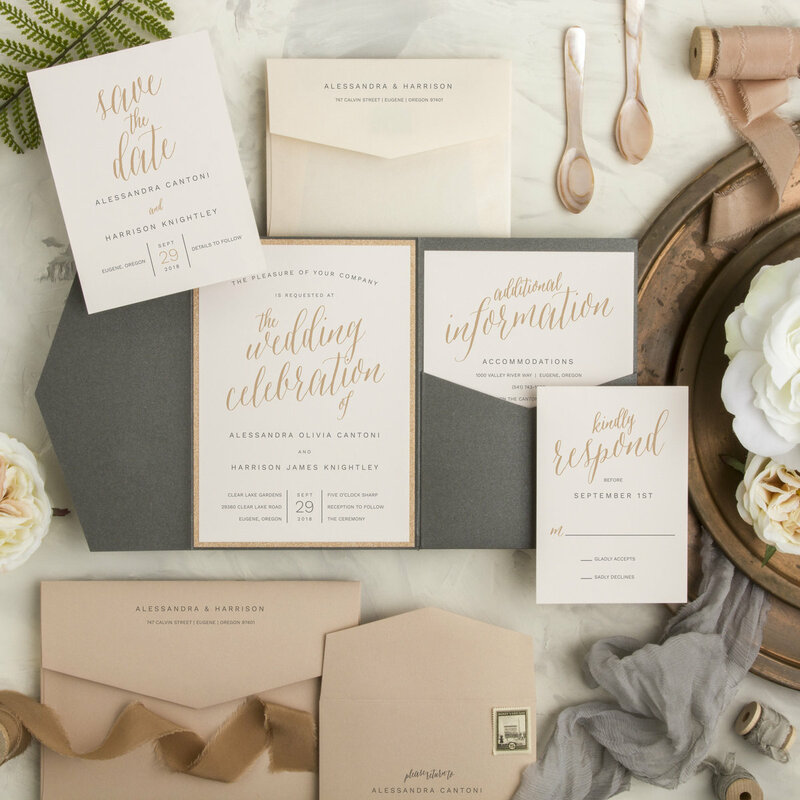 Want gold foil or letterpress? Interested in anything that's not listed below? We definitely didn't list everything we offer (the sky is the limit) so don't hesitate to contact us with questions or get a price quote for all your stationery goods.